As the first country to sign a compact with the Millennium Challenge Corporation, Madagascar has been the global guinea pig for the MCA approach. Its early experience offers important lessons for countries following in its path - both about the real challenges of program administration, and the real potential of the MCA as a source of transformation and innovation. 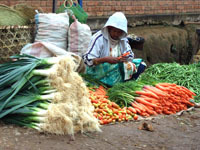 MCA Madagascar reached the one-year mark on its compact in July 2006, offering an opportune time to assess its progress and gather lessons from its experience. This report is based on interviews conducted in July and August, 2006 and offers a snapshot of MCA Madagascar's (MCAM) first year of operations. It is not, however, a report about program implementation. Rather it is a report about an "invisible year"  focused on getting MCAM and MCC systems in place rather than ramping up specific program interventions. This year of progress is "invisible" because it includes many procedural steps that are foundational but not glamorous, and that perhaps should have been taken before the compact "entered into force." The year of progress is also "invisible" because despite some significant milestones, many cannot see the progress and thus believe the MCAM is moving too slowly. There are three key lessons from Madagascar's first year. First, it is crucial to articulate and manage expectations about the program approach and goals, particularly in the context of an "invisible year," and more broadly in the face of ambitious targets. Second, early efforts to establish systems should include deliberate strategies for ongoing consultation with civil society. Ironically, the third lesson is that MCAM's strong potential as a source of transformation and innovation in Madagascar could be jeopardized by the very effort to lay a foundation for its success. This is because time devoted to getting essential systems in place consumed compact time that could have been used to work toward concrete program goals. The MCAM would be better positioned to meet its program goals on time, and live up to its potential for transformation, if many of the "invisible year" activities had occurred prior to "entry into force" of the compact. Despite the invisibility of the first year, the progress made in this time is very important to the sustainability and impact of the program. MCC and partner countries should emphasize appropriate sequencing over expediency. The MCC should offer clear guidance and financing to help countries set and meet pre-compact milestones and thus improve chances of reaching program goals within the compact period. MCA countries should develop, with MCC support, an explicit communications strategy for expectations management and education about its approach. MCA countries should balance short-term and long-term interventions to keep momentum alive and expectations satisfied. The MCC should insist on a comprehensive M&E framework before a compact begins, but be flexible about revisions during the course of compact implementation. MCC and MCA countries should bring in expertise on civil society consultation earlier, as is done for technical areas like procurement and sectoral interventions. MCA countries should seek partnerships that will strengthen civil society's capacity to participate in program planning and implementation, with a special focus on complimentarity with other USG programs. MCC and partner countries should continue to talk loudly about country ownership. The US Congress should support the MCC's willingness and courage to support tough, overarching policy and institutional reforms. MCC and the US Congress should allow, and even encourage, countries to pursue concurrent MCA compacts. *MCA Monitor Reports from the Field are a snapshot in time, on-the-ground assessment of the MCA process. The Madagascar Report from the Field is based on a field visit and interviews conducted in July/August 2006. Subsequent actions may have addressed some of the issues raised in this report. The author wishes to recognize the substantive contribution of Jonathon Kass in the preparation of this report. Madagascar signed its compact with the MCC in April 2005 but the compact "entered into force" in late July 2005. This marks the point at which official compact implementation began, and MCC started the clock on the four-year compact. The phrase "invisible year" was first coined by Ambassador Brito of Cape Verde when describing the first year of his country’s MCA compact.